Silvia Simpson Larizza practices in litigation, with a concentration in products liability and matrimonial law. 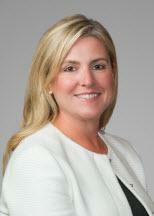 Ms. Larizza has represented clients in a wide variety of litigation matters. Her experience in products liability has been both at the national and the local counsel level in coordinating and managing mass torts, as well as individual products cases. She has been involved in every stage of the litigation process, including document production and preparation, witness preparation, depositions, trial preparation and resolution of cases. She has also handled employment cases, second-chairing a racial and age discrimination case in the Southern District of New York and successfully achieving a full defense verdict. Ms. Larizza has also handled a variety of matrimonial matters. Prior to joining the Firm, Ms. Larizza worked as an associate at Savell & Williams in Atlanta, Georgia, practicing insurance defense. Ms. Larizza is fluent in Spanish.